Embassy of the Republic of Fiji | High Level International Diplomacy in Philippine: Asia-Pacific Regional Seminar for Parliaments on Translating International Human Rights Commitments into National Realities. Hon. 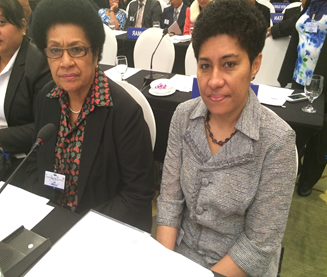 Dr. Jiko Luveni, Speaker of Parliament at the Conference Main. 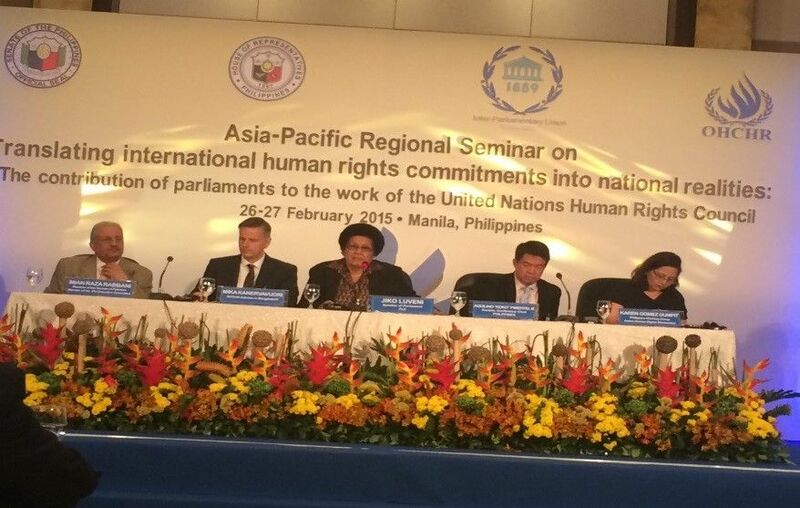 The Asia-Pacific Regional Seminar for Parliaments themed “Translating International Human Rights Commitments into National Realities: the Contribution of Parliaments to the Work of the UN Human Rights Council” was held in Manila, Philippines from 26-27th February 2015. 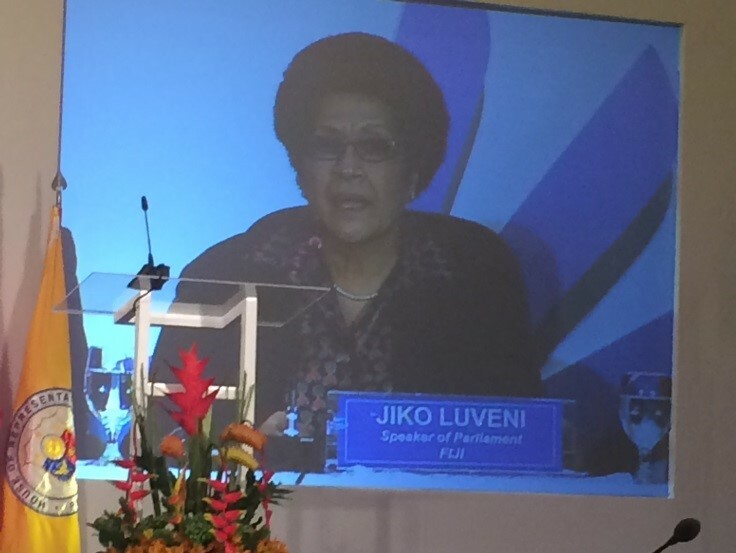 The Honourable Dr. Jiko Luveni, Speaker of the Republic of Fiji’s Parliament, attended the Conference on the invitation of the President of the Senate Office of Philippine, Honourable Mr. Franklin Drilon. 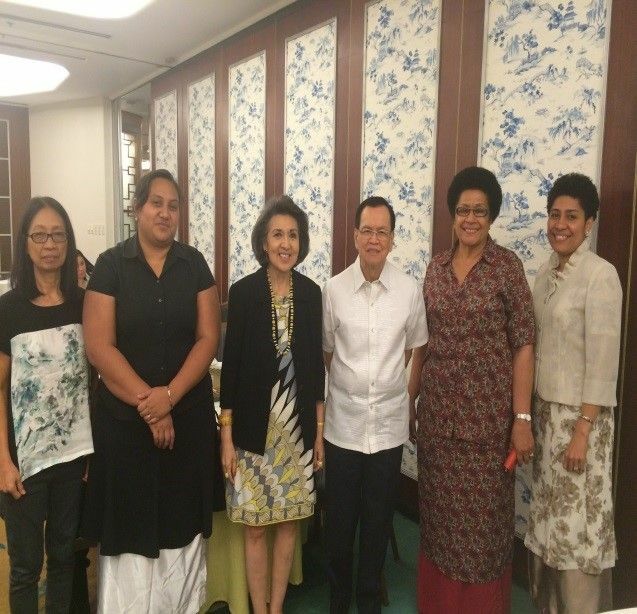 She was accompanied by the Acting Deputy Secretary General, Mrs. Jeanette Emberson, and Counsellor Julia Korovou of the Fiji Embassy Tokyo, who rendered support and secretariat services. 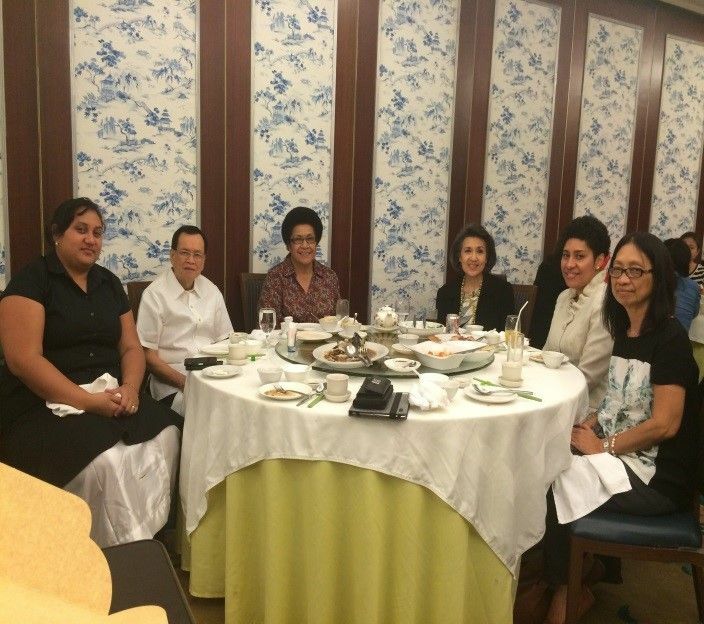 Fiji’s Honorary Consul (HC) for Philippine, Mr. Pineda Jr. was also on hand. Hon. 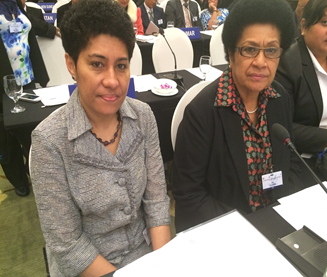 Dr. Luveni Presiding Over Panel Session on Common Challenges regarding the human rights situation in Asia-Pacific. The Conference’s objective was to inform participants about how the Human Rights Council functions and alert them to the importance of becoming more involved. The meeting aimed to identify good parliamentary practices in working with the Council and in promoting and protecting human rights in general, in particular, by initiating an effective and continuous dialogue with other stakeholders such as national institutions and civil society. It also aims to determine the appropriate cooperation framework among other stakeholders, in particular the executive, national human rights institutions, civil society and parliaments with a view to maximising the latter’s contribution to the promotion of human rights. Hon. Dr. Luveni addressing the Conference at the beginning of the Panel Session . Madame Speaker moderated a Panel Session titled “Common Challenges regarding the human rights situation in Asia-Pacific.” The session aimed to examine how States in the region, with the help of parliaments, have been able to address some of these issues notably: ensuring the proper administration of justice; and Climate Change, environment and global warming/Climate Justice. Hon. Dr. Luveni with Mr. and Mrs. Pineda Jr. at dinner. On the eve of 27th February, the Honourable Dr. Luveni along with Mrs. Emberson and Counsellor Korovou were hosted to a dinner by HC Pineda Jr. and Mrs. Pineda. 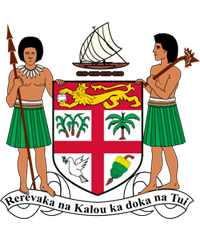 Madame Speaker expressed her sincere gratitude to Mr. and Mrs. Pineda Jr. for their generosity and assistance provided during the course of her Conference, and requested that her Office be informed of their visit to Fiji in June as she wishes to organise for them a tour of Fiji’s Parliament Office.